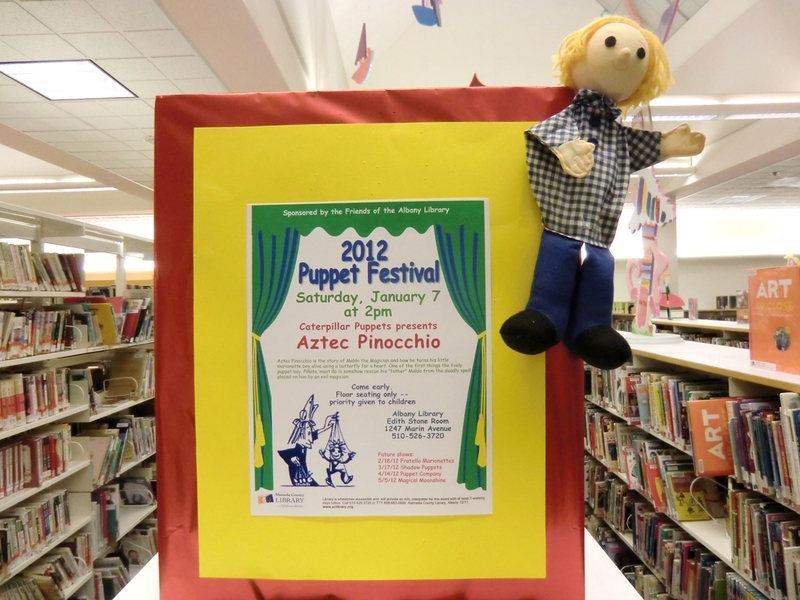 The fun unfolds on January 7 as the Puppet Festival begins. Caterpillar Puppets’ Aztec Pinocchio is the story of Maldo the Magician and how he brings his little marionette boy, Pinata, to life using a butterfly for a heart. As the story unfolds, little Pinata, must rescue his “father,” from a deadly spell cast by an evil magician. The Friends of the Albany Library are sponsoring this series. 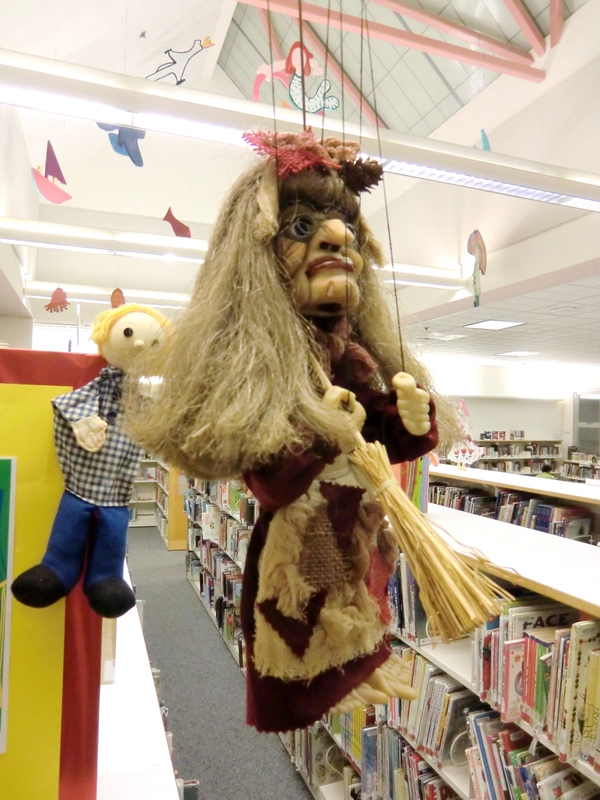 FAL president, Liz Keiley-Roark, brought some beautiful Czech puppets for display in the children’s area. Puppets come to life in the imaginations of children around the world. 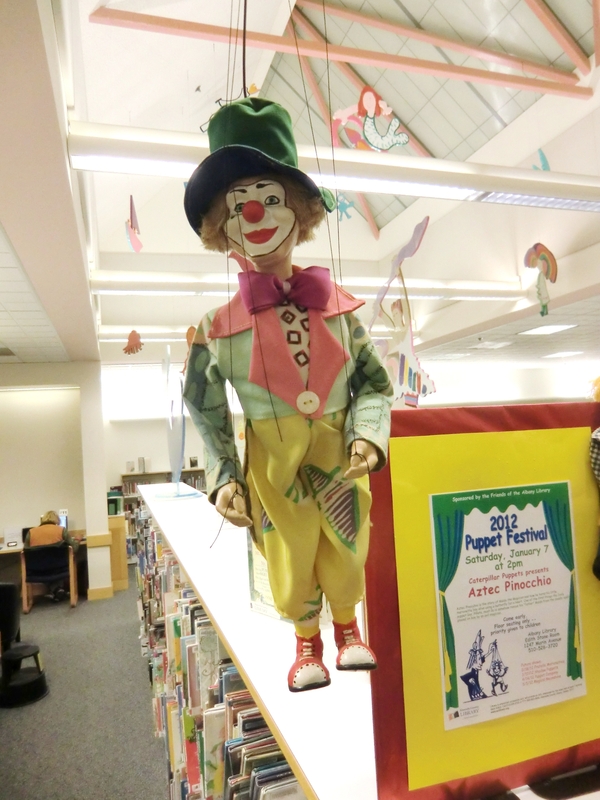 Our Puppet Festival will feature the stories of many cultures and we hope everyone comes to enjoy the best of Bay Area puppetry right here in Albany. Shows start at 2:00 but you’ll want to come early for a good seat. Floor seating only with priority given to children. More publicity will follow as each month’s performance date approaches. See you in the front row!!! on Friday, March 30, 2012 at 1:44 am | Reply One Little Caterpillar Finger Puppets | One Little Caterpillar Munch! Munch! Munch!